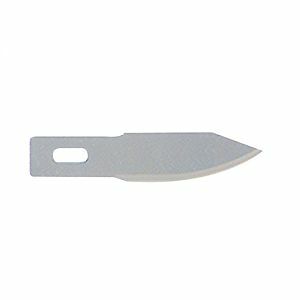 B10 Curved Edge Blade - Light Duty. For carving wood, plastic, and paper. • Dimensions: 1-7/16" x 1/4" x 1" Edge. Available in 100 piece Packs only.